Sprouts, no matter what kind of seed they grow from, are a powerhouse of nutrition. This class teaches how to grow and use sprouts in everyday cooking so that you can boost your nutrition without even trying. 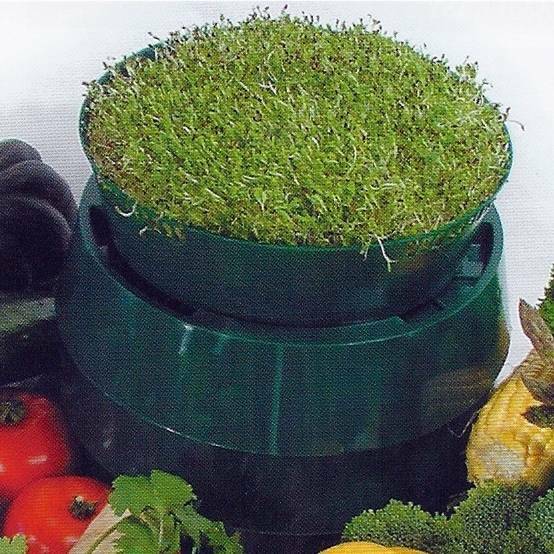 A fool-proof method for growing and harvesting sprouts. Creative and tasty ways to use different kinds of sprouts. How to use sprouts to boost the nutritional value of any food. How to disguise sprouts from kids so that they will get the nutrients they need without knowing it! They want better nutrition all year long. They want to know how to hide sprouts from their kids. They see a need for fresh vegetables in their daily life, but need a more economical way to get them. They don't know anything about sprouts and are looking for a good overview of their uses and benefits. Don't miss the chance to learn something new and tasty about sprouts! This class is broken down into 2 - 15 minute video segments. Each video can be watched up to 6 times. That way, if you need to refresh your memory about something when you get started, you can view it again. Take this class from home, in your PJ's if you want too. I have used sprouts in my cooking for years. This class showed me how easy it is to grow them myself and it has saved me both time and money at the grocery store. I love the health benefits of eating sprouts, but my kids hate them. Mary Ann showed me how to sneak them past my kids so that they can get the nutrition they need. Now they eat them all the time and don't even know it! I love the washing sprouts video! Not only did it help me get longer shelf-life out of my sprouts, but this class opened my eyes to so many ideas about how to use them, that I never would have thought of on my own!